Now this is a great opening act for The Lords of 52nd Street! 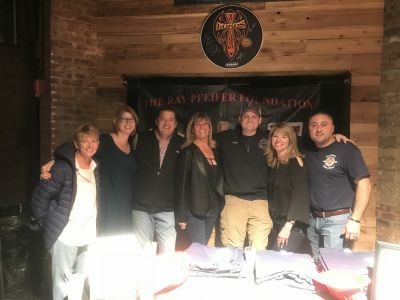 Lots of Pfeifers (Noreen, Trish, Joe, Marion, Kathleen), our RPF VP Chris, and Chief Gass of the Westbury Fire Department representing the Ray Pfeifer Foundation before the big concert at Westbury Theater. 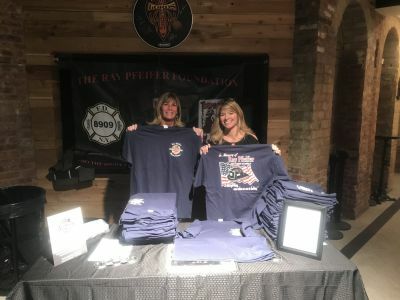 Marion & Kathleen sold a ton of shirts before The Lords of 52nd Street concert.